Planning a wedding can feel pretty overwhelming at first. Whether you have a couple of years or three months to do it, it can be stressful all the same. Couples are faced with endless decisions, lists, and deadlines, which is why many decide on recruiting professionals to help them out with loads of work for their dream wedding. 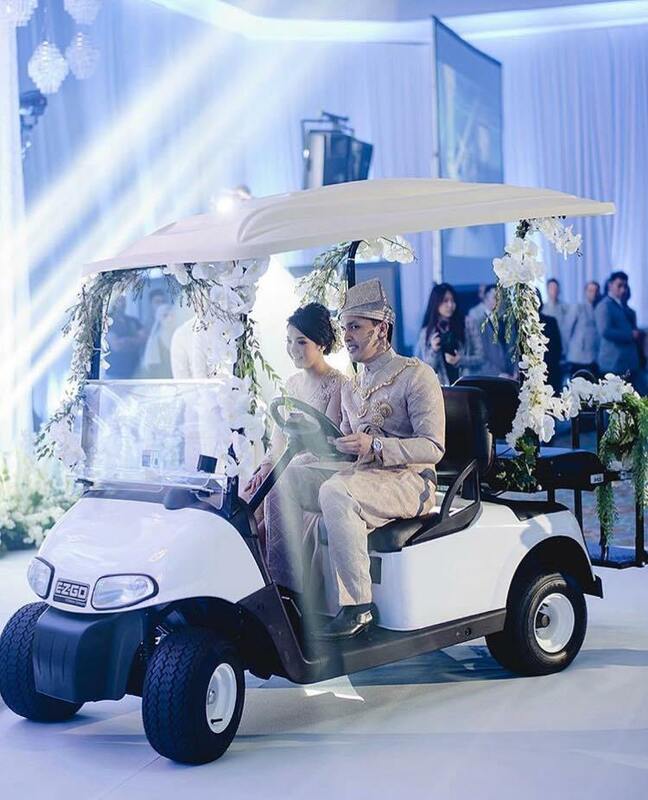 Meanwhile, one exceptional bride from Malaysia gave herself a break from trying to plan and oversee every detail of her wedding and focused only on what’s important – the big day itself. Imagine spending ages planning your wedding and getting excited for the big day only to break your ankle a few days beforehand. 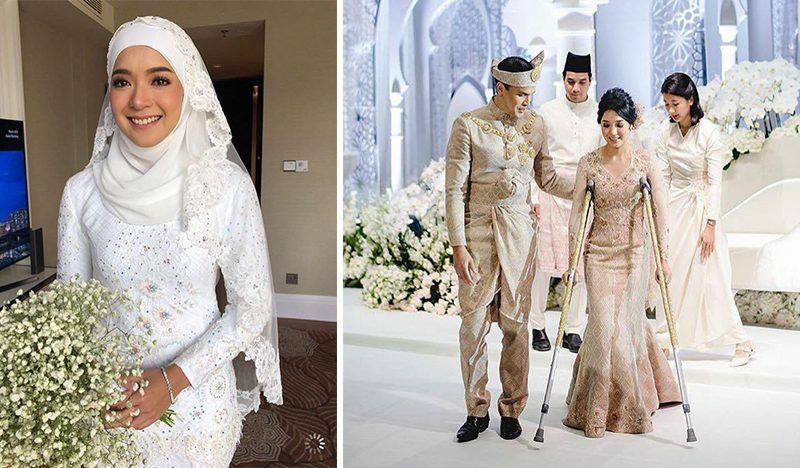 After ordering the cake, decorating the venue, and getting everyone where they need to be ready, the bride, Siti Naqiah, walked down the aisle with a broken ankle and a pair of crutches – something she completely did not see coming. Like most brides, Siti had made quite a detailed preparation before her wedding day, but the universe seemed to have a different plan for her. The unexpected event took place a few days ago when the bride-to-be wanted to rescue a cat causing her ankle to snap accidentally. 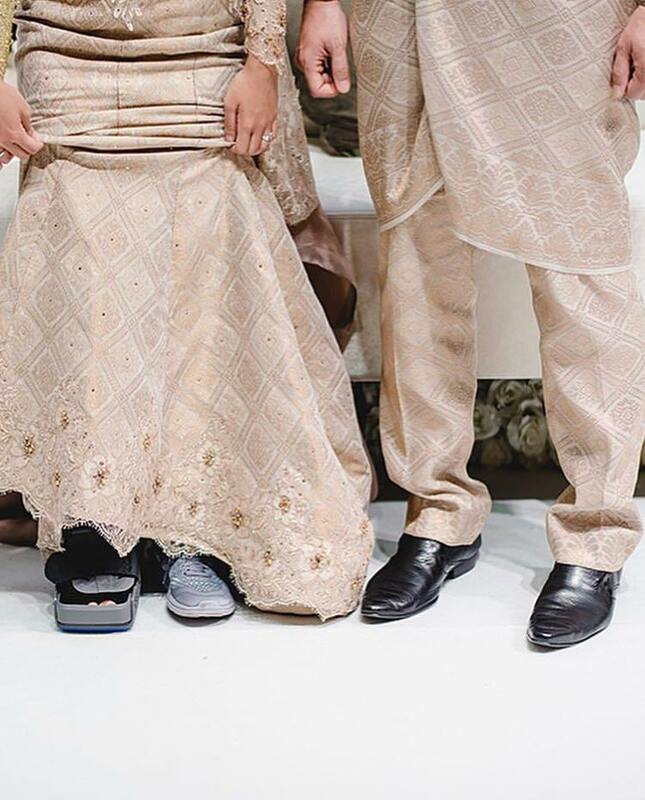 Unfortunately for the Malaysian bride, she suffered from a broken ankle and was left with no choice but to refrain from wearing high heels for the entire duration of their wedding. Instead, she sported an ankle brace and sneakers underneath her elegant wedding dress and wore crutches as she hobbled down the aisle. However, both the bride and the groom seemed to have no problem with the unexpected change of wardrobe. 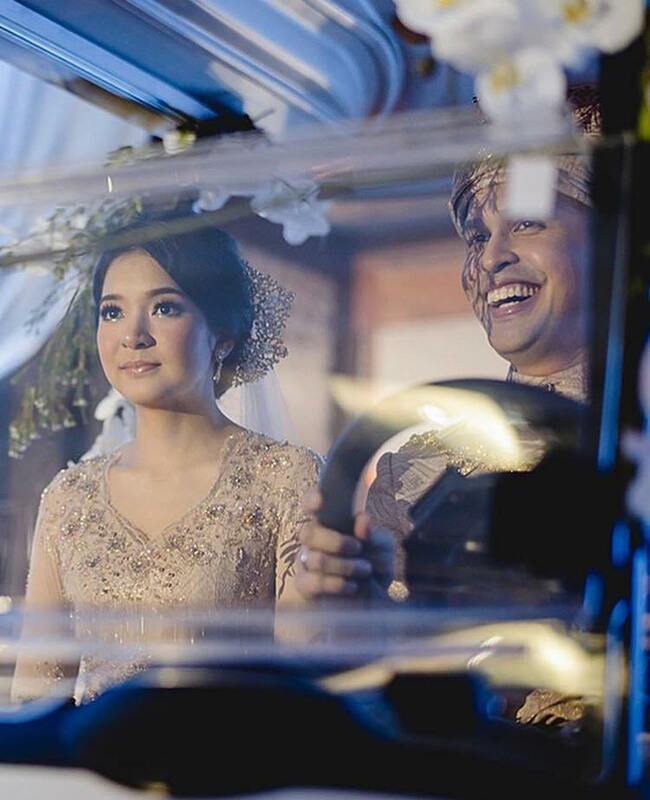 Still looking stunning than ever, Siti was determined that her wedding would go ahead and did not make her injury as an excuse to ruin her very special day.